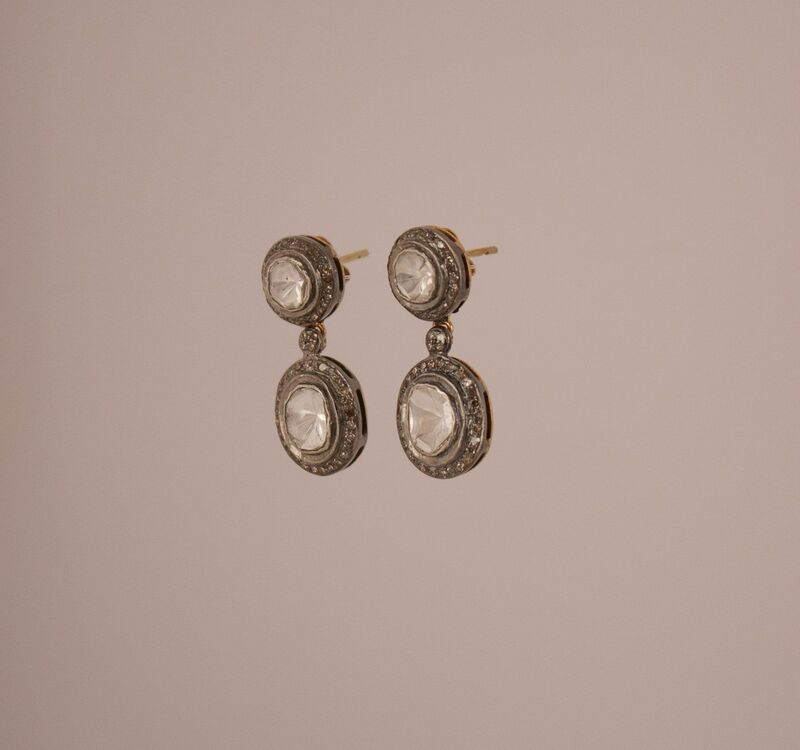 These two-tiered rose cut diamond earrings feature a circular stone on top and an asymmetrical dangling stone beneath, both in a traditional Indian foil-backed setting and encircled by diamonds pave set in sterling silver. 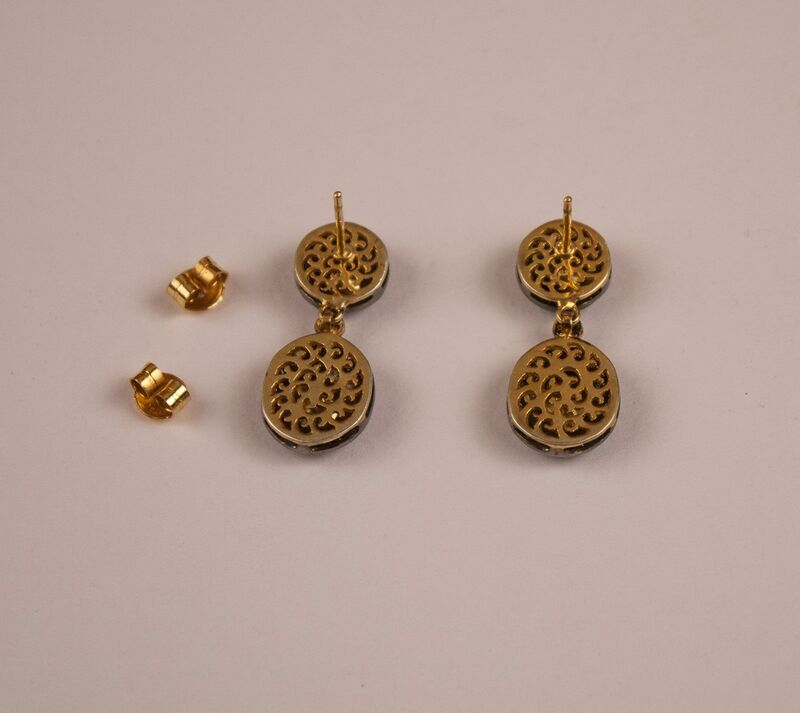 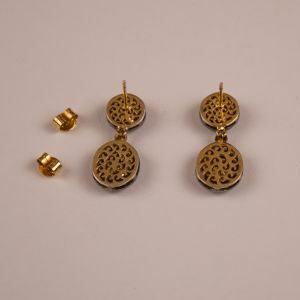 The back of the earrings are an 18 karat gold wash and the posts and backs are pure 18 karat. 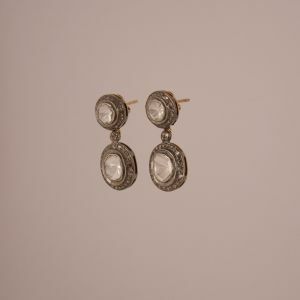 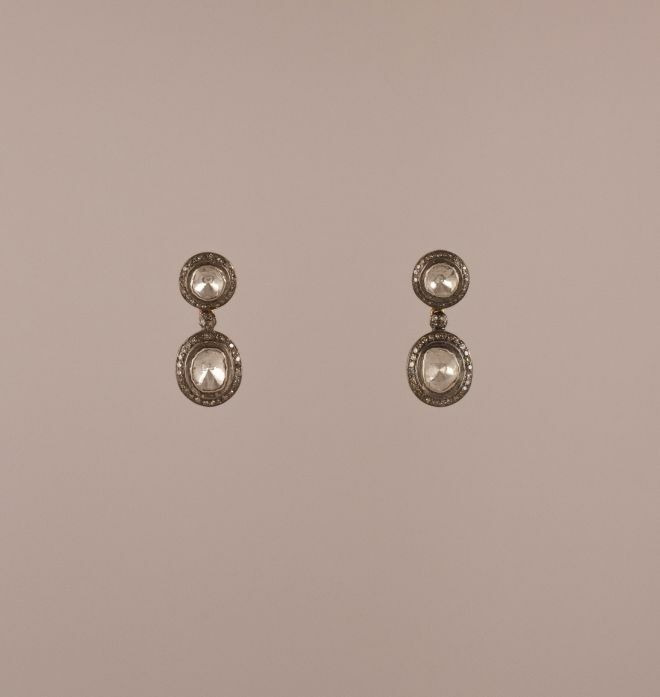 At once elegant and organic, the earrings can be worn for black tie, with white tee shirt, or anything in between.